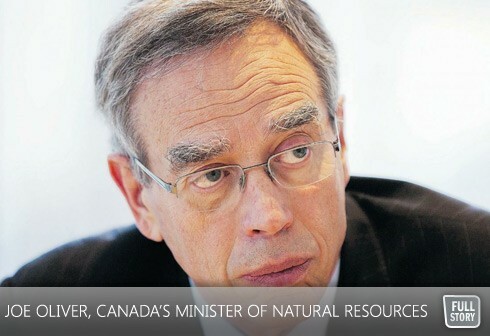 On June 27th, Minister of Natural Resources Joe Oliver signed an agreement between Canada and Israel to advance energy cooperation between the two countries. The agreement includes commitments to share policy expertise in energy management, promote industrial cooperation, and collaborate in various fields of innovation – including environmental best practices and unconventional sources of energy. Parallel to this initiative, the Centre for Israel and Jewish Affairs has been engaging with Canada’s energy industries to explore opportunities in Israel’s nascent energy sector, an effort which will only be strengthened by yesterday’s announcement. “We applaud Minister Oliver and the federal government for launching an initiative that will only enhance Canada’s position as a world leader in energy,” said David Koschitzky, Chair of the Centre for Israel and Jewish Affairs, the advocacy arm of UJA Federation of Greater Toronto and other Canadian Federations.